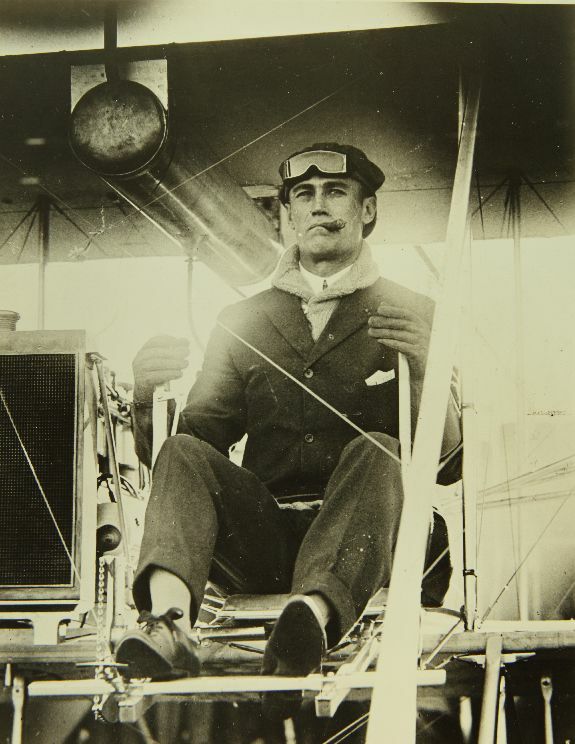 5 November 1911: At 4:04 p.m., Calbraith Perry Rodgers completed the first transcontinental flight when he landed at Tournament Park, Pasadena, California, in front of a crowd of 20,000 spectators. 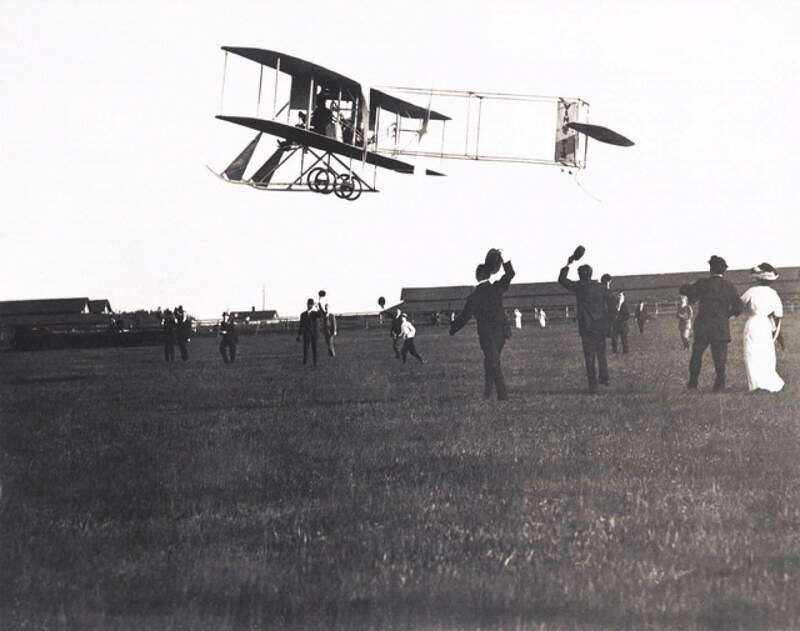 Only a few months earlier Cal Rodgers had been taught to fly by Orville Wright at Huffman Prairie, Ohio. 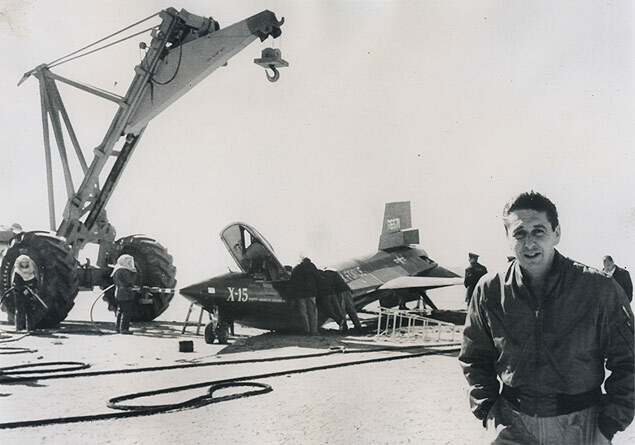 On 7 August he had been awarded Fédération Aéronautique Internationale (FAI) pilot certificate number 49. The Wright Model EX was built as an exhibition airplane. It was developed from the 1910 Model R, with shorter wings and some other improvements to reduce aerodynamic drag. It was a single-place biplane with a length of 21 feet, 6 inches (6.553 meters) and a wingspan of 31 feet, 6 inches (9.601 meters). It was powered by a water-cooled Wright inline 4-cylinder engine which produced 30 horsepower, driving two propellers in pusher configuration by means of chain drive. 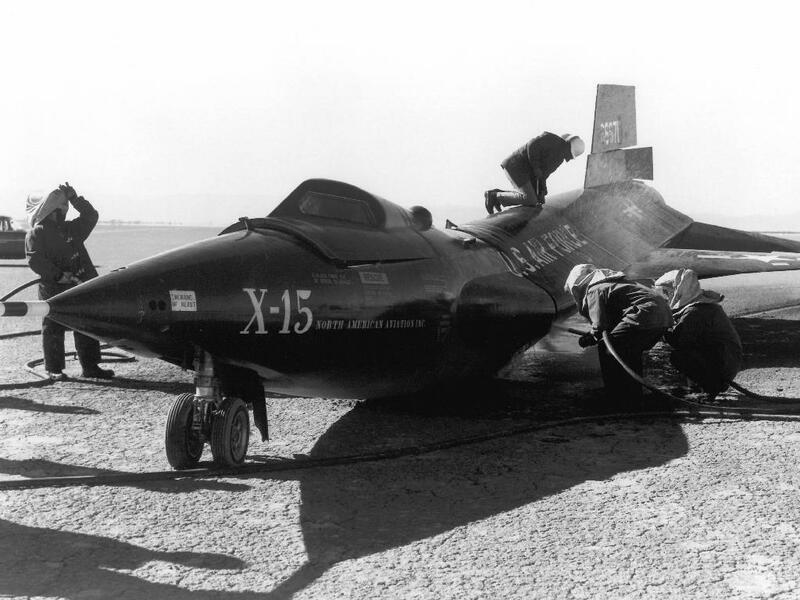 Its top speed was approximately 62 miles per hour (99.8 kilometers per hour). 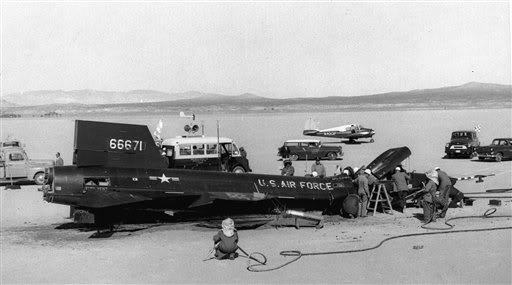 Cal Rodgers was accompanied by a special six car train that provided living quarters, support personnel and a hangar car for maintenance. 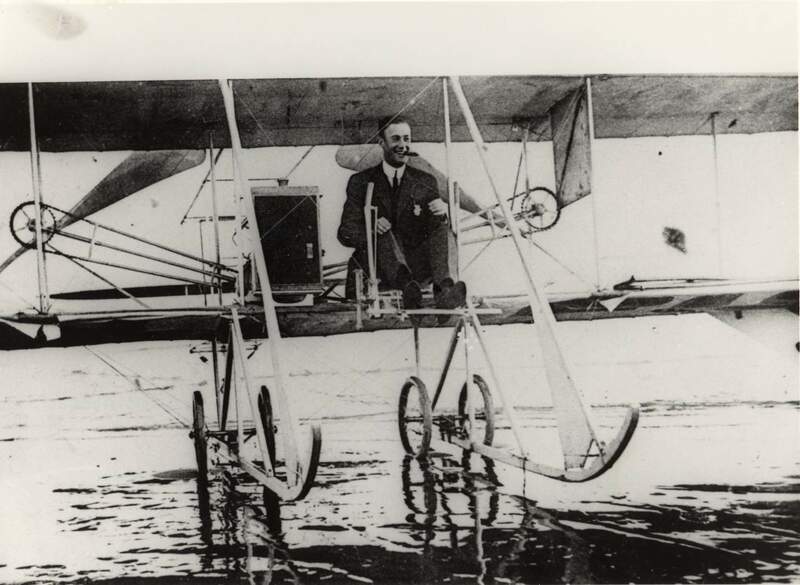 He paid Charlie Taylor, the Wright’s’ mechanic, $70 per week to accompany the flight and perform the necessary maintenance on the airplane. The top of the rail cars were marked to allow Rodgers to follow the train in and around the larger cities as a form of navigation. 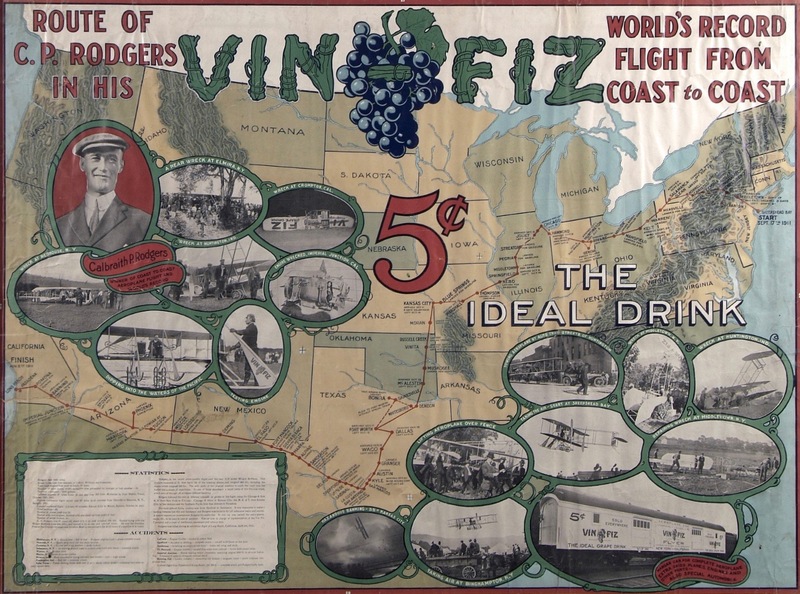 The transcontinental flight required more than 70 landings for fuel, maintenance or repairs. By the time that he arrived at Pasadena, California, Hearst’s prize offer had already expired. The city of Long Beach offered him $1,000 if he would fly to the shoreline of their city to complete the journey. After spending the night at Pasadena, Rodgers took off on the final leg, only 25 miles, but he crashed at Compton, and was seriously injured. It was nearly a month before he had recovered sufficiently to fly the rest of the way to Long Beach, which he did with a crutch tied to the airplane’s wing. He landed on the beach there, 10 December 1911.